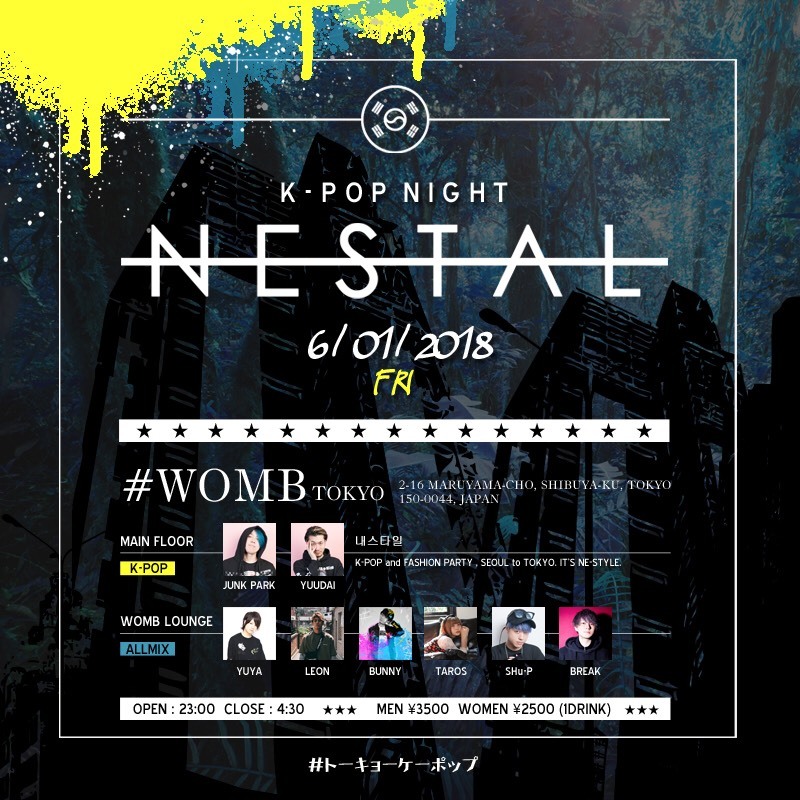 K-POP Night Nestal, a full-power club event for enjoying K-POP, has finally been decided to be held on Friday night! On June 1st let’s make some noise at Nestal! From BTS, iKON, SEVENTEEN, BLACKPINK and other artists’ new songs, of course, to well-known hit numbers from EXO, BIGBANG, Super Junior, EXO and others, a wide range of hit songs will be delivered by the DJ. If you enjoy K-POP in Tokyo, come to Shibuya WOMB’s K-POP Night Nest!